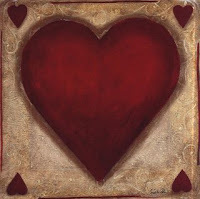 A heart-felt article on storytelling from Elizabeth Bristol in Leaking Hearts magazine. Two Stories to Every Side from Michael Williams on Vimeo. Click on links below to download FREE storytelling resources. Stories Should Be Free -- and they are at http://www.booksshouldbefree.com/Top_100. Here you'll not only find the 100 most popular audio books in their selection but many, many more from a wide variety of genres. Most are from the Liber Vox free recordings of books in the public domain. Lots of excellent stories. Reid Hoffman is the founder of Linkedin, the networking site for professionals and others who want to share their passions for what they do. In this slideshow, "The 3 Secrets of Highly Successful Graduates", he shares his passion for helping others. As a father with three sons finding their way in the world, I think Reid's advice is a relevant navigation guide. Ok, I admit, it's also a plug for Linkedin and Reid's book The Start-up of You, but it still has some good things to say.